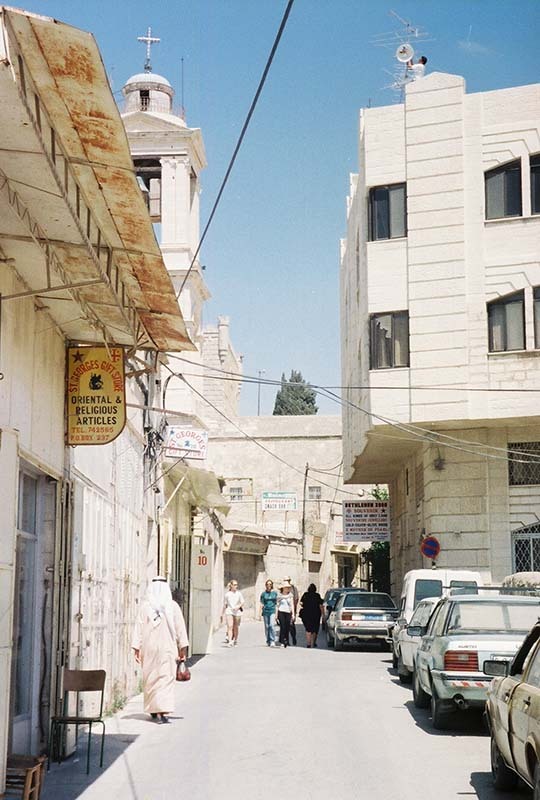 Bethlehem is filled with streets such as these. They include (of course) little shops for tourists, as identified by the little signs above their doorways. 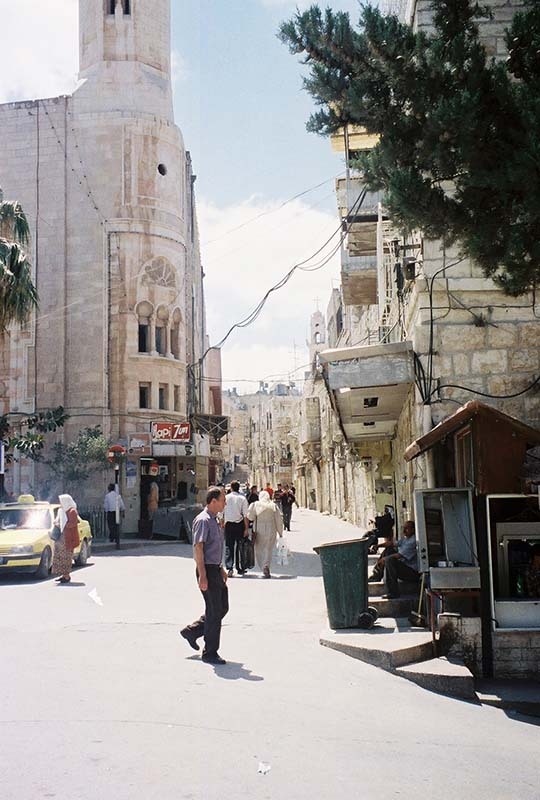 Can you find the Arab Palestinians in each photo? You can identify them by their clothing.